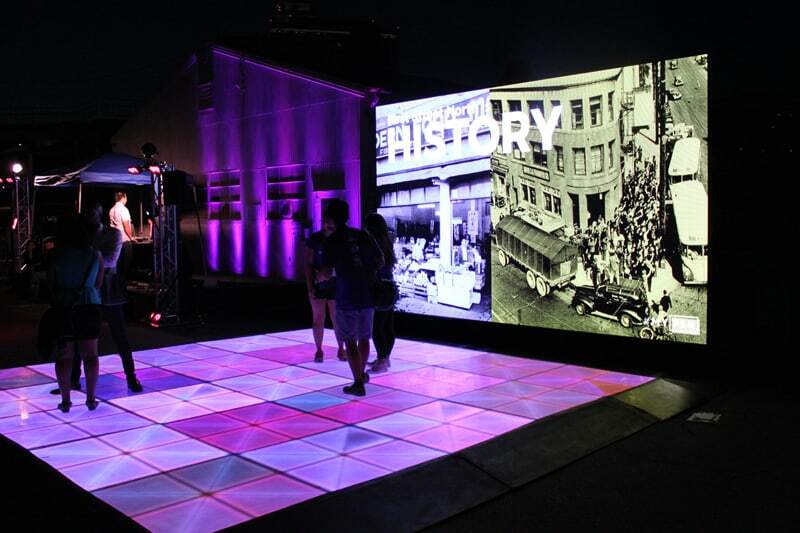 A +LAB multimedia installation at LTSC’s 2017 Sake & Food Tasting Event inspired guests to re-imagine Little Tokyo’s First Street North block. The +LAB Arts Integration project aims to integrate creative strategies in the work of LTSC’s various departments. As part of the project, the +LAB team seeks opportunities for LTSC staff to experience arts and culture, in order to appreciate new possibilities and the role art and culture play in Little Tokyo and Los Angeles. The +LAB team will also help LTSC staff collaborate with artists to enhance the organization’s work.